Clearspan tents are a step up from the traditional frame tent. 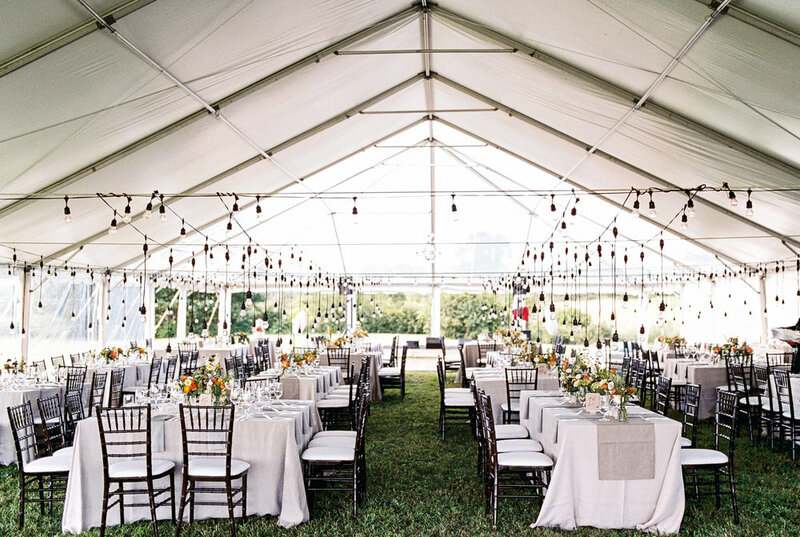 An assembled framework of beams allow for the white or clear fabric panels to slide through the beams to create a much stronger and quieter tent. There are no interior center poles in the tent. The interior look of the Clearspan tent is also much cleaner as fewer buckles and straps are needed to secure the fabric roof to the frame. The tensioning is achieved with the sliding of the fabric panels into the beams. 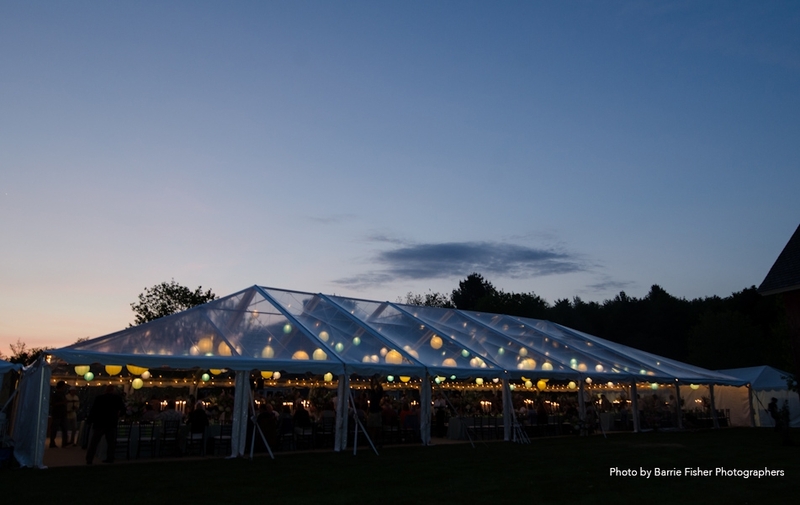 This type of tent allows us to combine white and clear roof panels to create a stunning tent for your outdoor event.